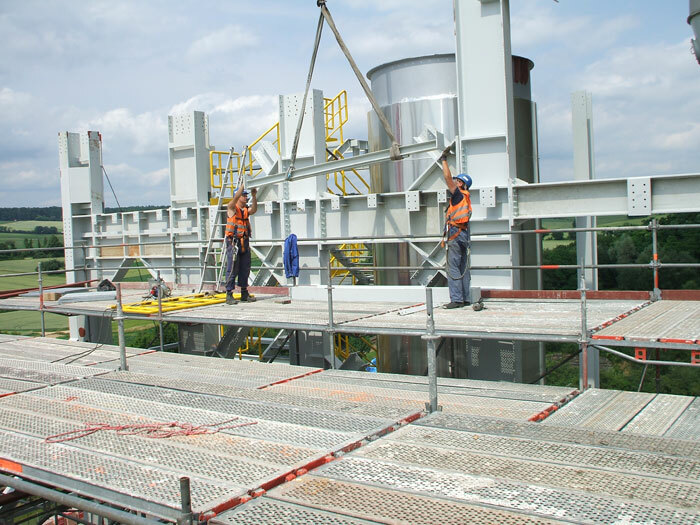 The assembly of the mighty system marked the conclusion of a major order for the Dinklage-based plant production unit at Hilgefort GmbH. 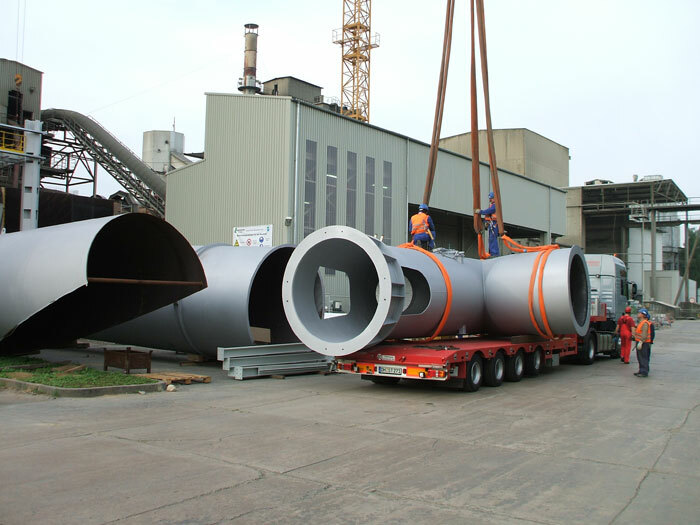 The production of the heat exchanger in Wössingen took 11 months. For the tower and the cement production system contained inside it, Hilgefort produced and pre-assembled 1900 tons of steel and around 800 tons of process equipment. 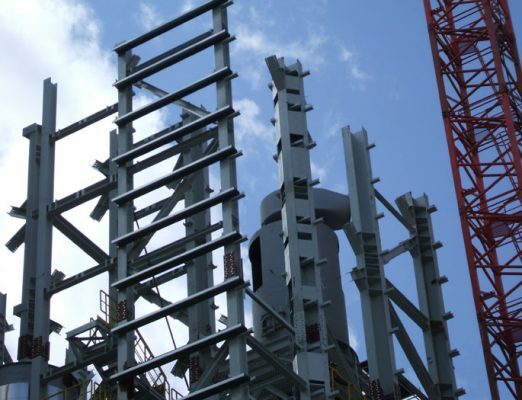 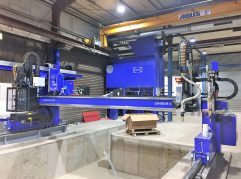 In addition to this order, which was spectacular even by the standards of a company regularly entrusted with industrial projects like Hilgefort GmbH, they were also responsible for comprehensive detailed engineering. 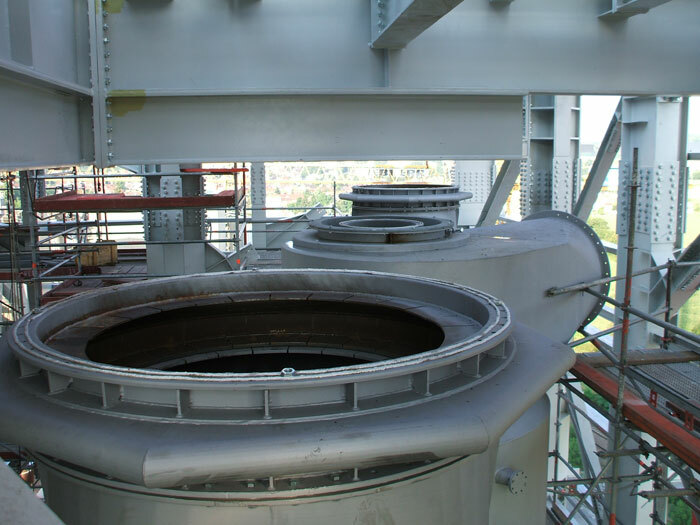 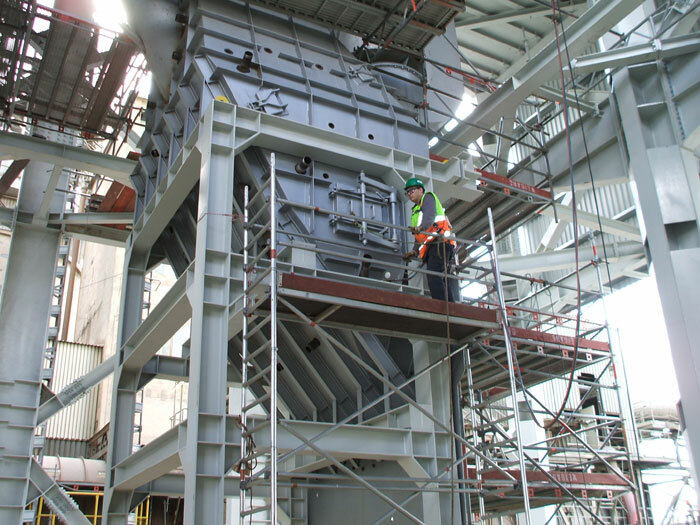 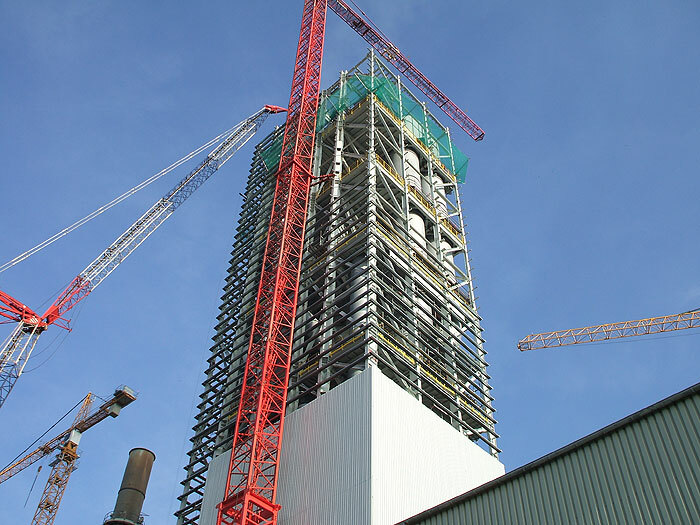 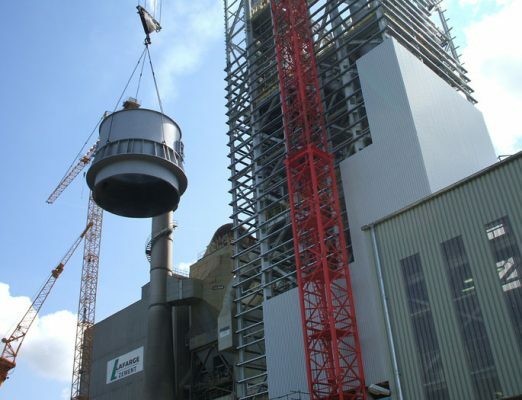 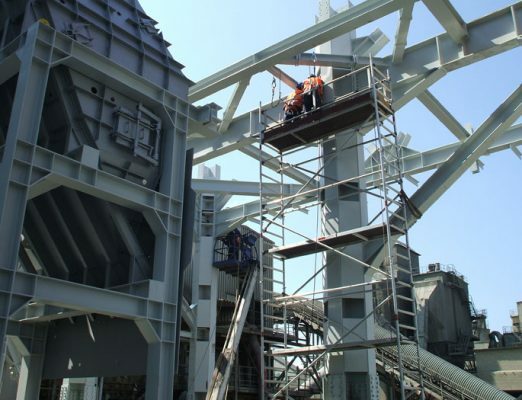 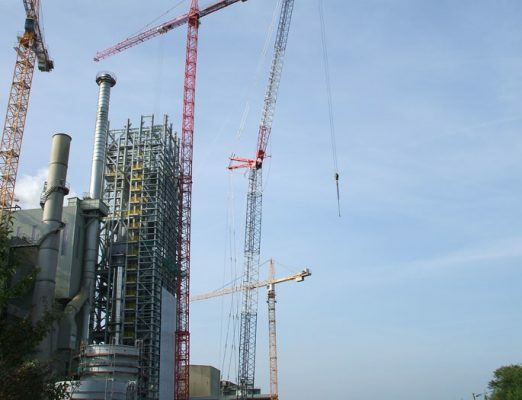 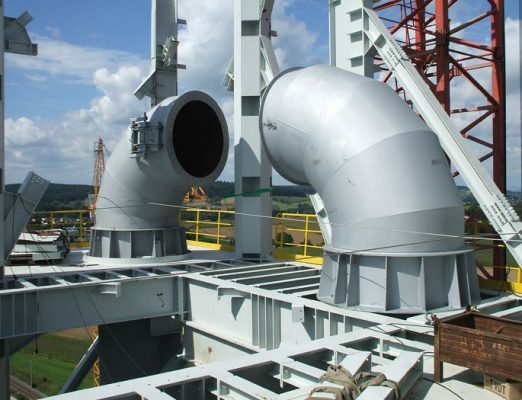 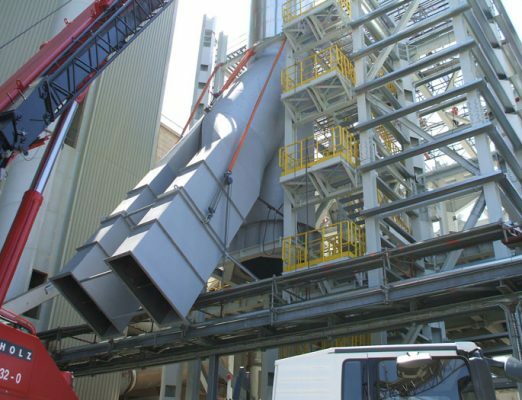 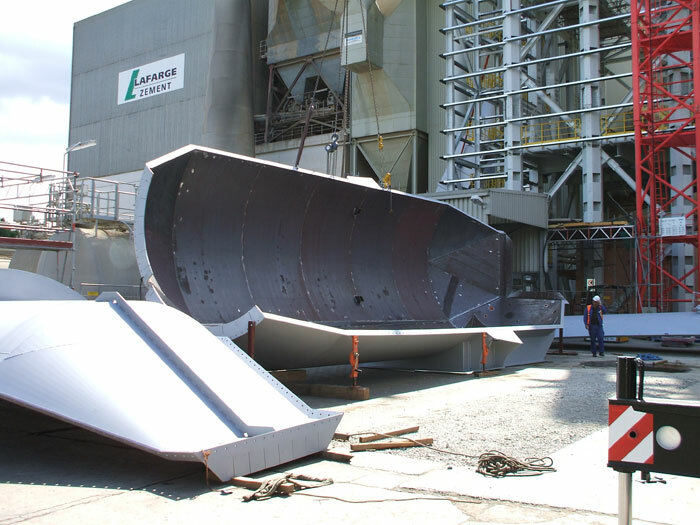 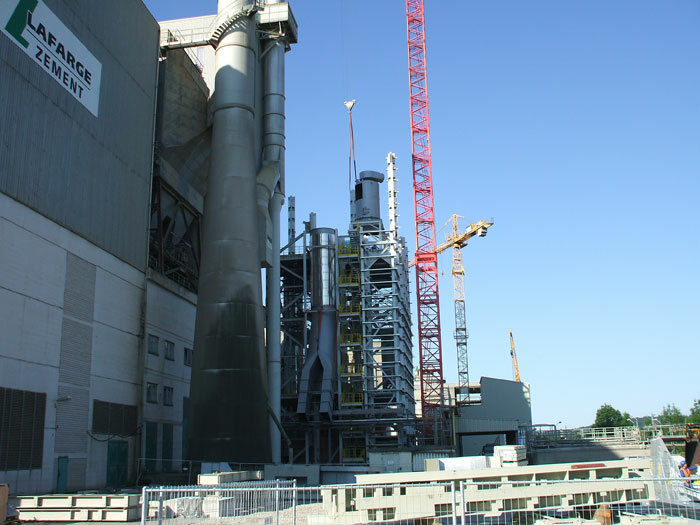 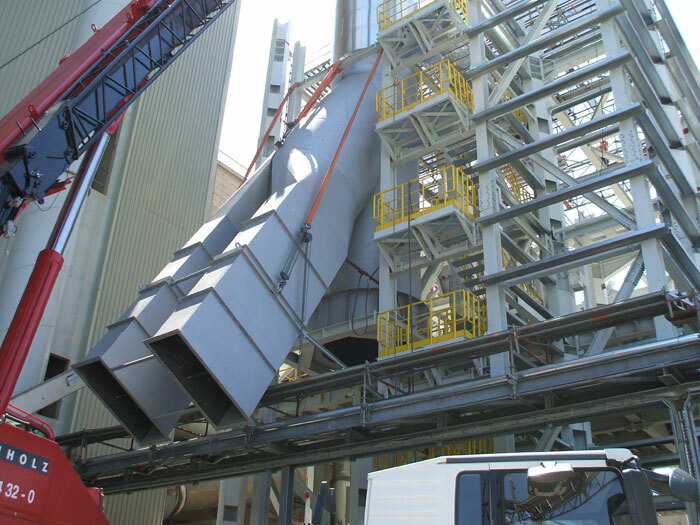 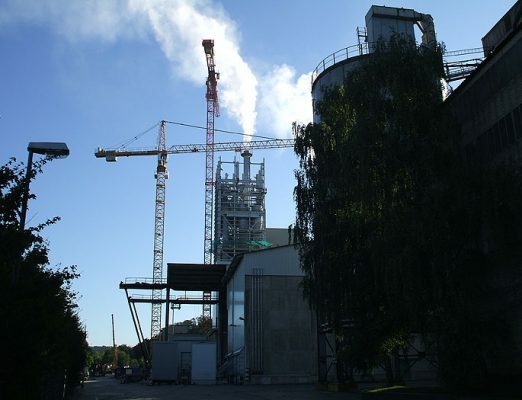 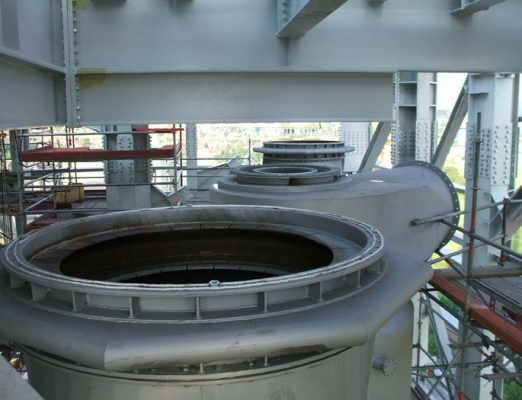 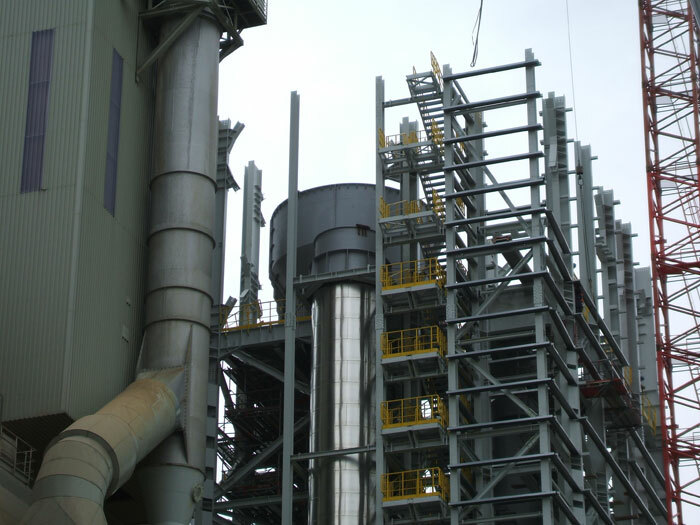 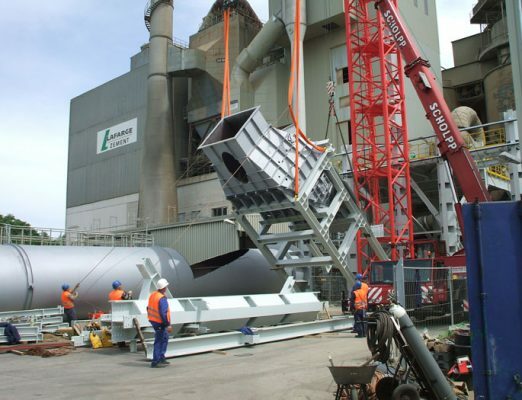 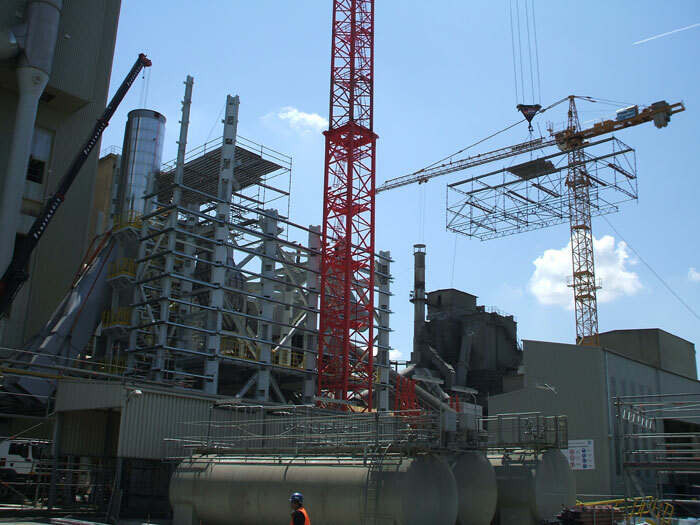 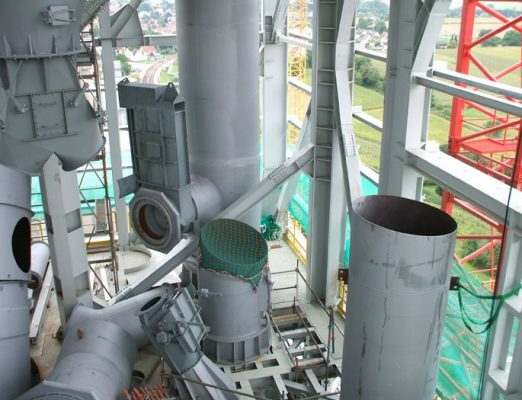 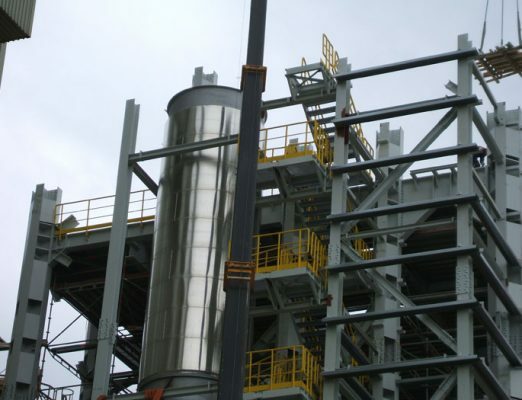 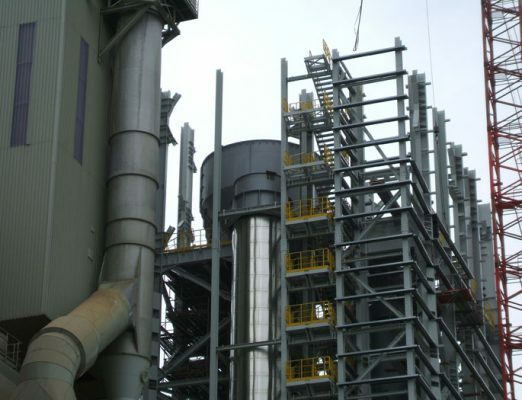 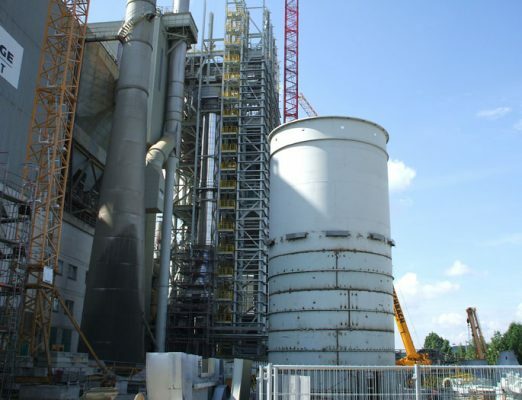 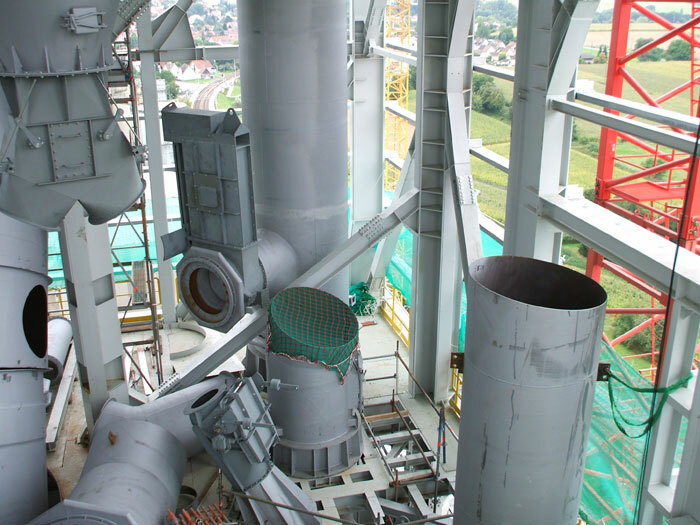 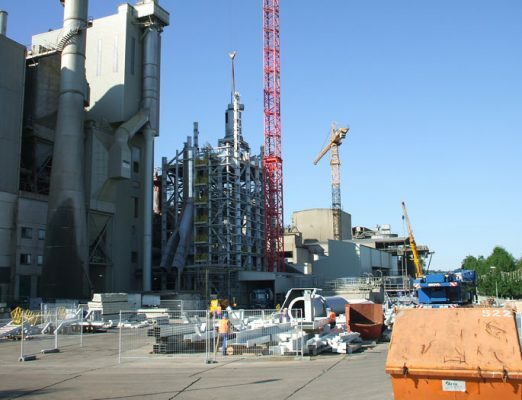 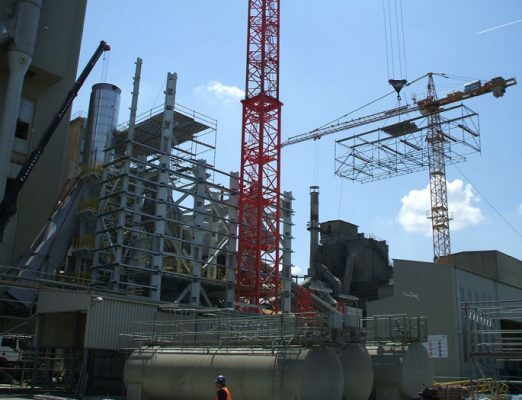 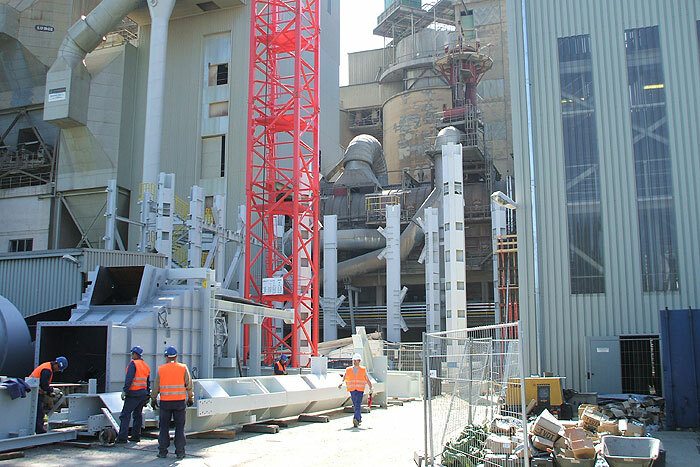 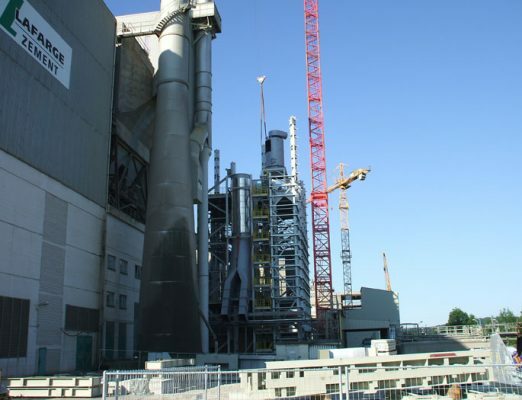 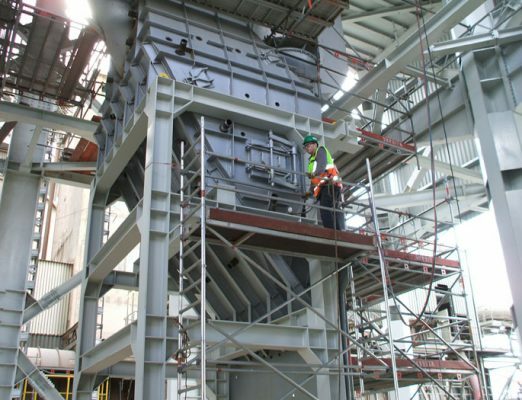 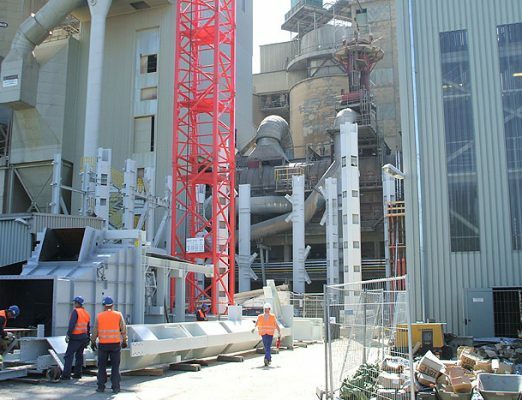 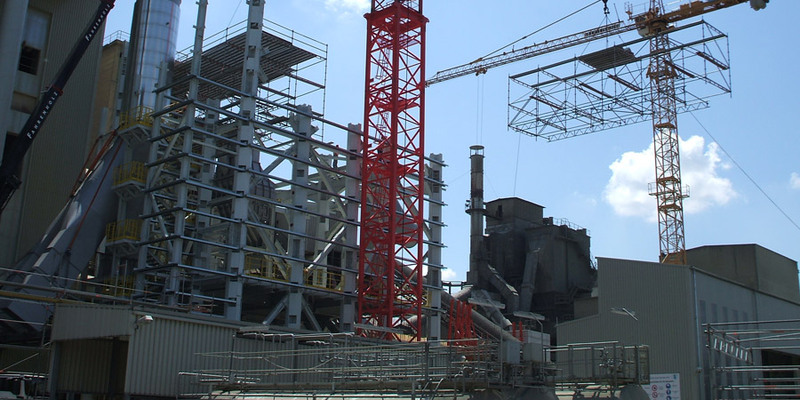 All the necessary process equipment in the approximately 112 m high tower, such as calciners, tertiary air ducts, combustion and mixing chambers and five cyclone separators, was built turnkey by Hilgefort. 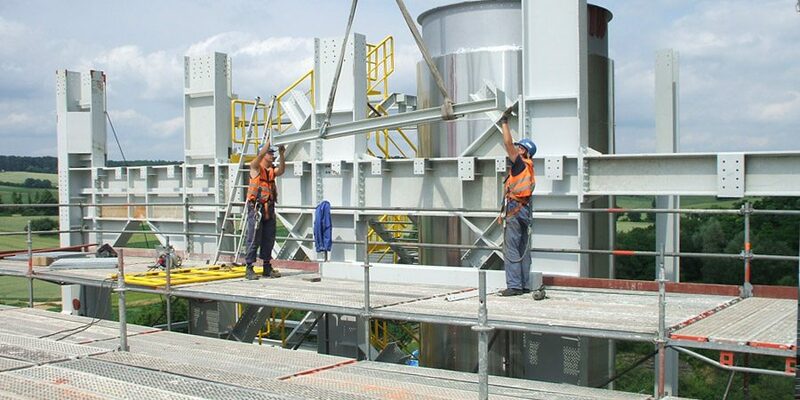 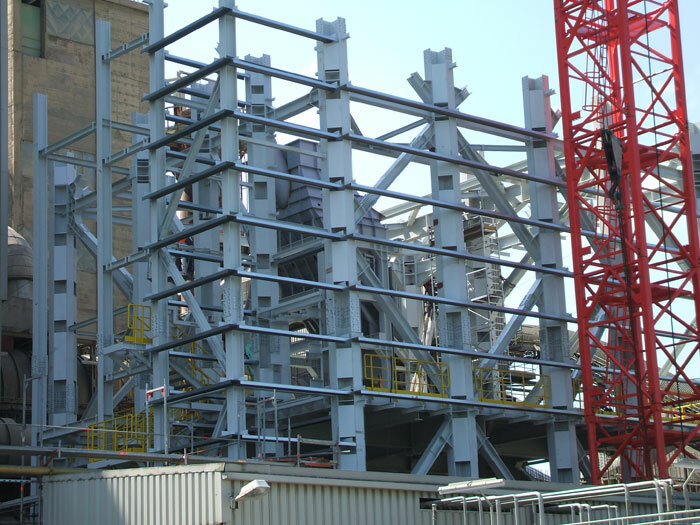 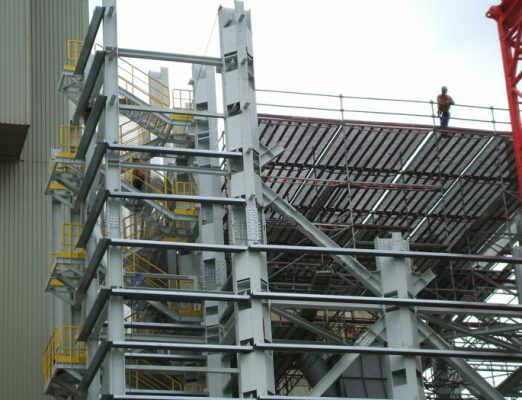 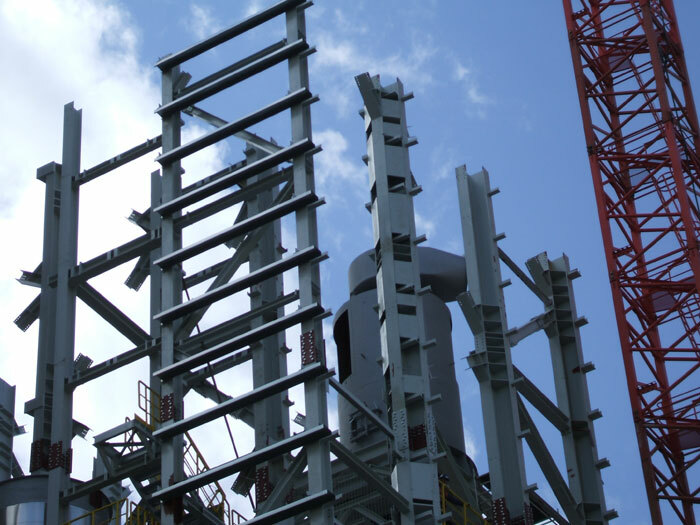 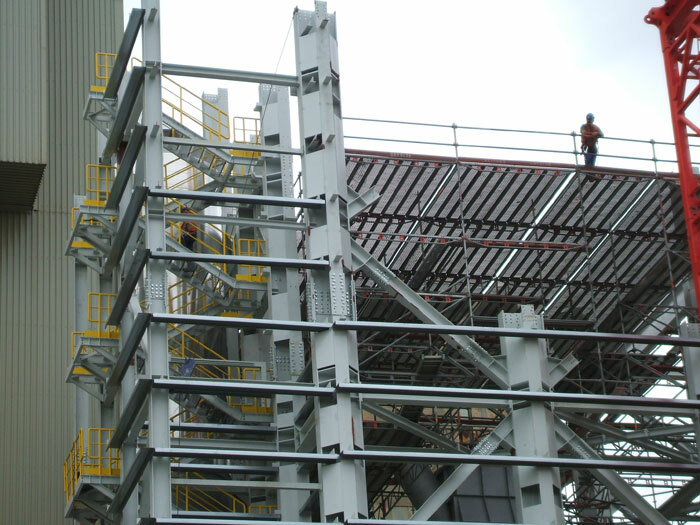 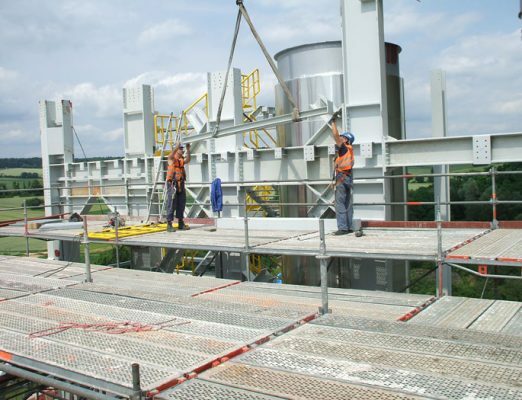 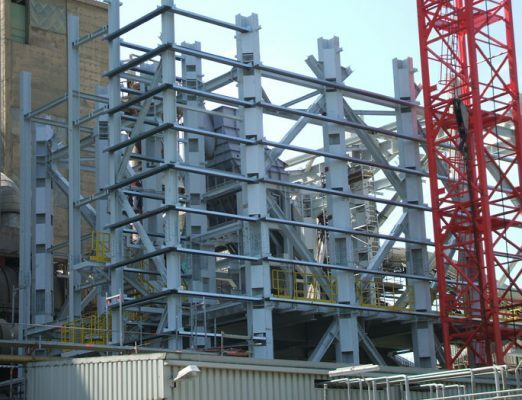 The company also produced and assembled the steelwork, including stairs, scaffolding, lift and 500 m long conveyor. 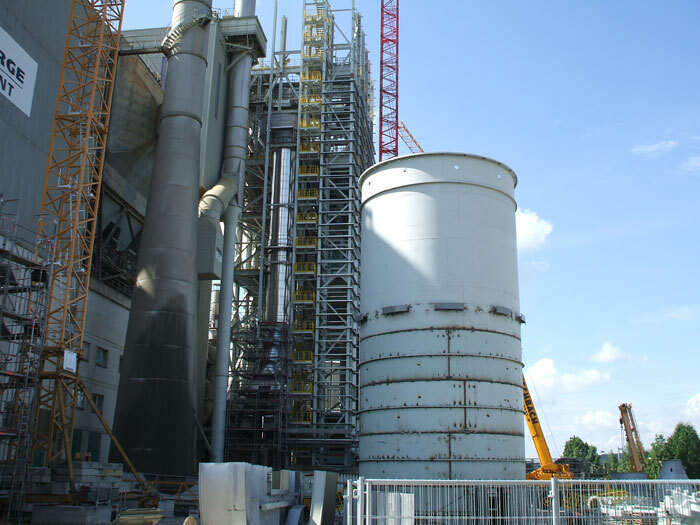 Hilgefort GmbH also renewed part of the rotary kiln during the plant extension work. 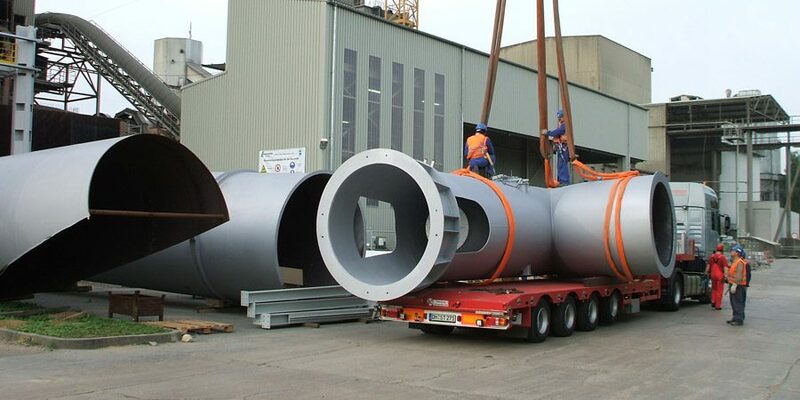 Like almost any other major order, this too had a fixed handover date. 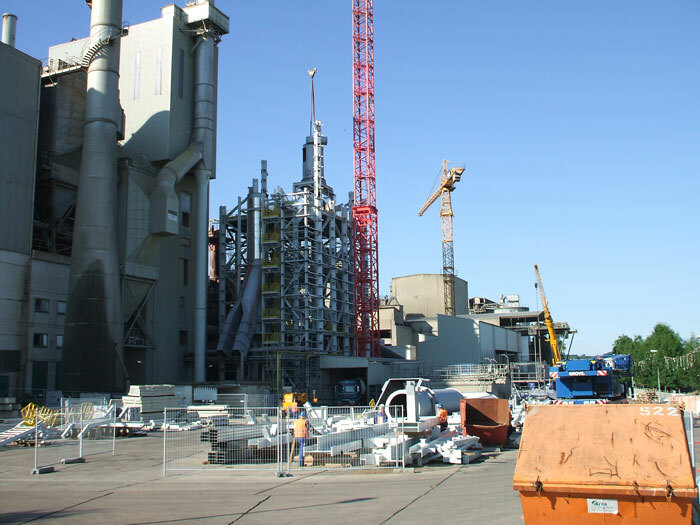 At peak times, 43 technicians and 2 construction supervisors would be on site, all working on the final assembly of the plant under rigorous safety requirements.